Across the world, the cosmetic industry is booming. Reason is simple; everyone wants to have a healthy, dewy and clear skin. Imagine fluid of snails and snakes being extracted, squeezed into tubes, sold all over Asia – and gets raving reviews. The truth about a healthy skin is not about expensive treatments or skin creams and serum. The food you put in your system plays a major role in the health of your skin. Your skin works like a mirror, providing signs about your overall health. Here’s the list of the superfoods that will not only make skin glow and slow down the ageing process, naturally. 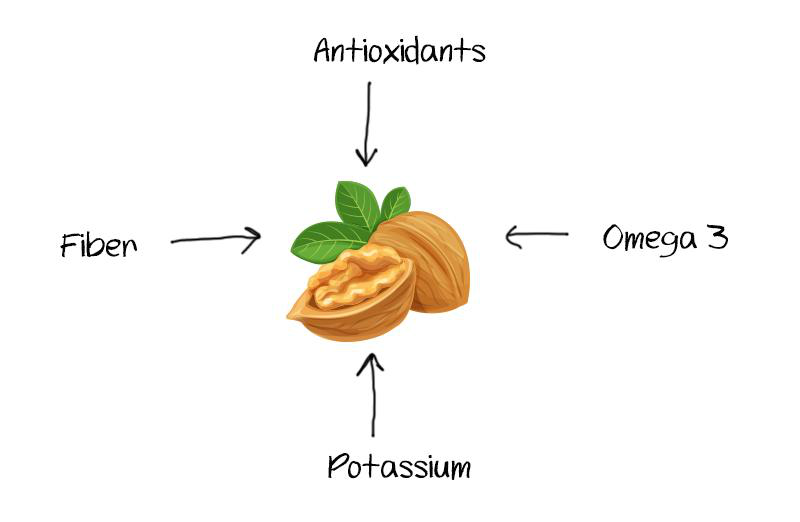 What makes walnut an excellent food choice for healthy skin is the abundance of essential fatty acids (omega-3 and omega-6 ). These can’t be processed by the body. Omega-3 fatty acids lock the moisture, strengthen the membrane of your skin cells, keep out toxins from the skin cells, giving you a plumpy glow. Also, Walnuts contain daily potassium requirement (around 11%) which maintains mineral balance, blocking bloating, saggy skin and puffiness. Moreover, they give you a healthy dose of antioxidants that combat the skin damage caused by dust, pollution and harmful rays. Do you know poor circulation is another reason for unhealthy looking skin? Walnuts are fiber-packed food and adding them into your diet means a well-nourished and healthy skin. 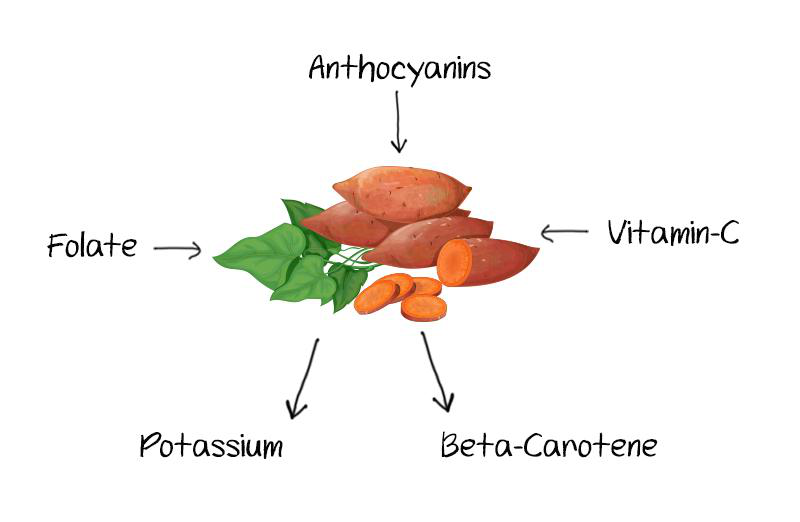 Sweet potatoes contain high levels of beta-carotene, which is required for healthy skin cell growth and production. It’s another bioavailable nutrients are anthocyanins, that have effective anti-aging properties. Collagen is responsible for skin elasticity and strength. Decreased collagen production leads to skin laxity, acne, wrinkles and more. Vitamin C present in sweet potatoes work as an antioxidant and help in the production of collagen. Sweet potatoes contain pantothenic acid and potassium that work as a natural moisturizer. Even its skin mask is moisturizing and cleanses excess facial oils from the skin. Folate is another essential nutrient present in sweet potatoes that maintain healthy levels of folate and decrease the risk of skin cancer. Both eating and applying papaya on the face make the skin glow. This fruit is rich in vitamin A, B, minerals and has antioxidant properties. It also contains Chymopapain and Papain that are very effective in retarding premature ageing. Daily consumption suggests that it protects the heart and also helps in weight loss. Want to improve the appearance of your skin? Adding pumpkin to your diet can help. 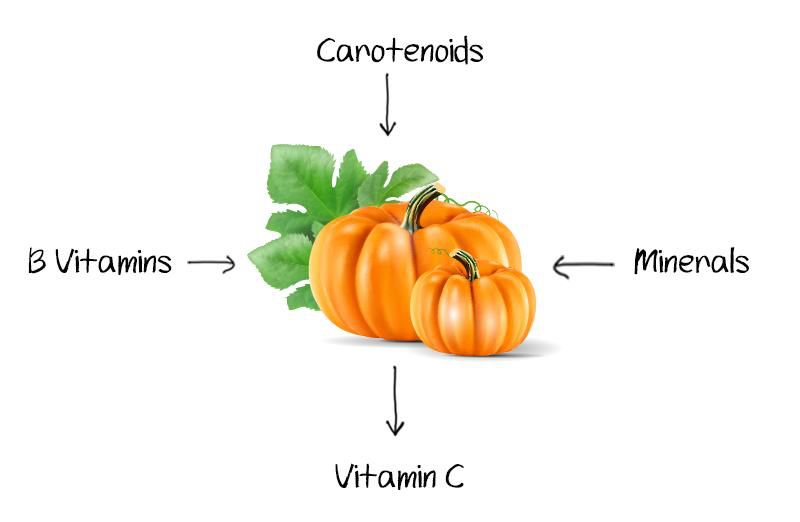 Pumpkin is packed with a good source of vitamin C, which is known for improving skin tone and elasticity. 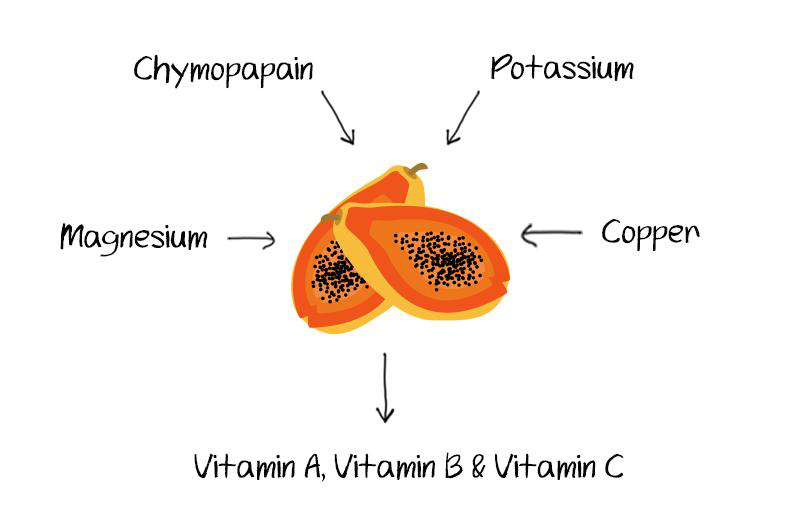 Carotenoids are another nutrient that reverses UV damage and improves the texture of the skin.